Whether you are just starting out in real estate investing, or are working on your hundredth deal, Dade Real Estate Investors Association (DREIA) can help you learn more, make more, and have more fun doing it. Continuing Education – local experts and top national speakers teach you various aspects of the real estate investing industry to help boost your income and protect it for a lifetime. Topics such as foreclosures, foreclosure law, rehabbing how-to’s, note and mortgage buying, wholesaling, landlording, and many more are always in schedule. Networking – the opportunity to network and meet other like-minded investors and entrepreneurs on a regular basis encourages you to stay motivated and continue brainstorming new ideas to maximize investing profits. Vendors – meet local and national investor-friendly businesses at our monthly vendor trade show. These folks display their products and services for you so you can meet with them personally. Meet businesses that make an impact on your business, from money lenders to title companies and more. Members Only pre-meeting invites members to receive bonus information on hot topics or meet our guest speaker prior to the general meeting where you can get those pressing questions answered. Become a Corporate member and advertise your product or service to others investors. Are You Ready To Join DREIA? 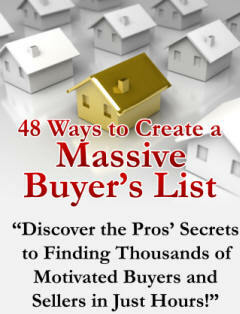 Its Easy To Do and Joining Can Really Jump Start Your Real Estate Career! We offer two main types of membership: individual (general) membership for people looking to learn more about real estate investing and increase their networking opportunities; and corporate membership for companies looking to offer their goods and services to members and guests.